No matter how tough you think you are, nature will always be tougher. This applies in all conditions: extreme heat, extreme cold, wind, rain, and snow. Ideally, the human body operates at a core temperature of 98.6 degrees Fahrenheit and requires a certain set of conditions to maintain that level. Attempt to brave Mother Nature’s wrath unprepared and serious problems can arise quickly. According to the Centers for Disease Control (CDC), the United States experiences an average of 1,300 annual deaths associated with exposure to excessive natural cold. Among the biggest culprit contributing to this statistic is hypothermia, while effects associated with frostbite also weigh in. Though both conditions are associated with the cold, they differ significantly in damage they cause to the body. 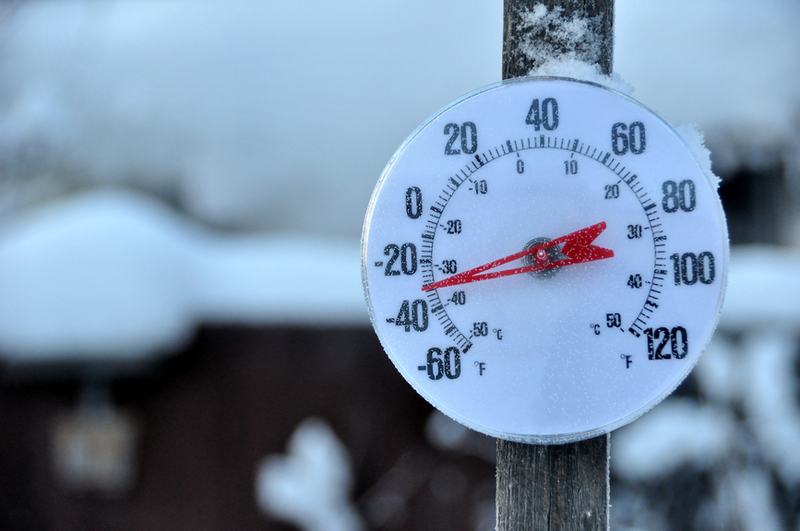 Read on to learn about common prevention techniques and how to treat hypothermia and frostbite. Hypothermia is the result of the body losing the battle to maintain its proper body temperature and occurs when internal temperatures reach or fall below 95 degrees (35 Celsius). Extreme cold prevents the body from burning enough energy to maintain its natural heat, which eventually causes the body to shut down. Fatalities can occur in just 30 minutes if you remain exposed. Frostbite is the result of extreme cold freezing the outer limbs and extremities. Blood flow to the arms, legs, hands, feet, ears, nose, and lips is slowed in order to protect the body’s vital organs and maintain their optimal operating temperature. In prolonged exposure to cold, these extremities can freeze to the point of “death” from lack of heat. This will cause them to rot and may allow gangrene to set in, which can result in serious illness or death. Keep the extremities covered. Wear gloves, earmuffs, hats, boots, and socks that are warm and dry. Layer up. Wear multiple, thin inner layers and one, thick main outer layer. The multiple layers trap heat and protect your skin from the wind and chill, the outer layer protects you from wind and rain. Limit exposure time. This applies to time out in the cold and time spent in cold water (even in warm weather). Children and the elderly are especially subject to cold weather related injuries and should avoid exposure if possible. Stay hydrated. Drink warm fluids frequently, avoid iced drinks, caffeine, and alcohol. Coffee and booze may make you feel warm, but they offset your body’s chemical balance and draw warmth away from the vital organs. Stretch and warm–up regularly. Keep your circulation flowing with easy movements, stretch your toes and fingers, and kick your boots in the ground to keep blood flowing. In order to reduce the damage done, it’s important to be able to identify the symptoms of each injury. Keep in mind that these symptoms often take a toll on a person’s mental capacity, so you may not always be able to identify them yourself. The buddy system is especially crucial in the cold and all members of a party should keep an eye on the others for signs of injury. There is more worth in preventing these injuries than attempting to treat them. Still, the symptoms often go unnoticed and you may find yourself having to help a companion, begging the importance of knowing how to provide care to someone afflicted with hypothermia or frostbite. Warm the trunk of the body with warm, dry blankets, and then move to the extremities. Prioritize the core of the body, as warming the cold extremities too quickly can cause dangerous heart arrhythmias. Use warm liquids to help warm the body. If the victim is unconscious or in a serious condition, fill bladders or bottles with warm water and place inside the victims sleeping bag underneath their arms and around their core. If conscious, slowly administer warm liquids to drink. Cover entire body, including head and extremities, in blankets once the core is warmed to help restore circulation. If unconscious, give CPR and attempt resuscitation immediately. Seek evacuation and medical care immediately if possible. Never stop trying to rewarm the body. Some victims have entered into a coma-like state only to awake in the hospital with minimal damage–though permanent damage is more likely. Take pressure away from the affected area. Frostbitten feet shouldn’t be walked on–carry them instead–and frostbitten hands shouldn’t continue carrying loads. Wrap the entire body in layers of warm blankets to gradually restore the body’s heat and circulation. Warm the affected area in water heated to 105-110 degrees Fahrenheit until it begins to redden and feel warm to the touch. If hot water is unavailable, use the warm spots on another person’s body (armpits, hands, between the legs) to warm the affected areas–be careful not to apply too much pressure. Avoid dry heat from heaters, fires, and stoves, which may burn the damaged frostbitten tissue. Administer painkiller to combat pain and swelling, which is likely to occur as circulation is restored. Loosely apply sterile bandages to affected areas. Separate toes and fingers with gauze and avoid puncturing any blisters. Continue to monitor wounds and lookout for signs of gangrene. Avoid exposure to cold/refreezing. Seek immediate medical attention. Even your best efforts may fall short, and antibiotics may be needed to fight infection or surgery/amputation to save a limb. As is the case with many topics in survival, preparation and prevention are often the keys to avoiding hypothermia and frostbite. Be sure to monitor your own well-being and that of the rest of your party and stay on the lookout for symptoms associated with these injuries. Avoid prolonged exposure to the cold at all costs and take the necessary measures to prevent, combat, and treat cold weather injuries.